LECTURE BEAUTY ON THE WING ~ THURSDAY NOVEMBER 12TH AT THE SAWYER FREE LIBRARY! 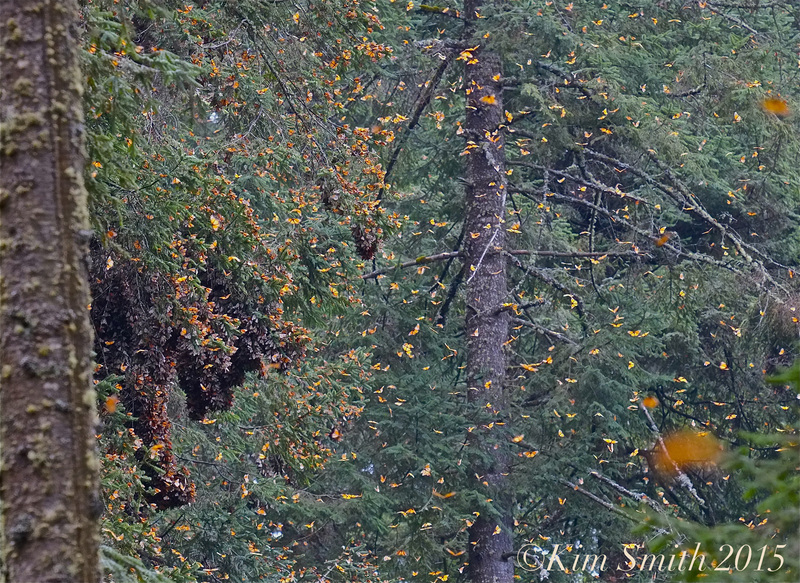 What is a Monarch Butterfly explosion? The butterflies migrate to Mexico to keep from freezing to death in northern climates. The air is cool and moist in the trans-Mexican volcanic mountains, cool enough to keep them inactive and in a state of sexual immaturity, called diapause, but not so cold that they will freeze. 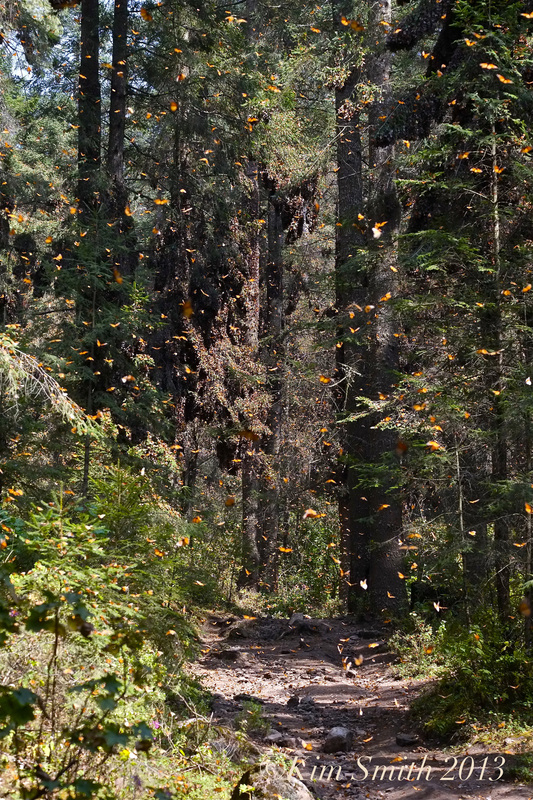 As spring approaches and the Earth’s temperature begins to rise, the butterflies sleeping in the oyamel fir forests need to get out of the hot sun. Millions explode from the trees, drink water from nearby mountain streams, and move to a cooler, shadier spot on the mountain. I hope you’ll come join our program Thursday night at 7pm at the Sawyer Free Library. We’ll be talking all things Monarchs including the current status of the butterfly’s migration, habitat destruction here in our own community, and most importantly, ways in which we can all help the Monarch possibly survive the warming of the earth. We will be premiering the trailer for my forthcoming film about the Monarchs, too (also titled Beauty on the Wing). I hope to see you there! For more information, visit the Programs page of my website and the Sawyer Free Library Facebook page. This entry was posted in Angangueo Michoacán Mexico, Gloucester Massachusetts, Monarch Butterfly, Monarch Butterfly Film and tagged Kim Smith lecture, Kim Smith monarch speaker, Monarch butterfly, Monarch Butterfly Explosion, Sawyer Free Library, What is a Monarch Butterfly explosion? on November 11, 2015 by Kim Smith. Is there a copy of the butterfly film available for sale?